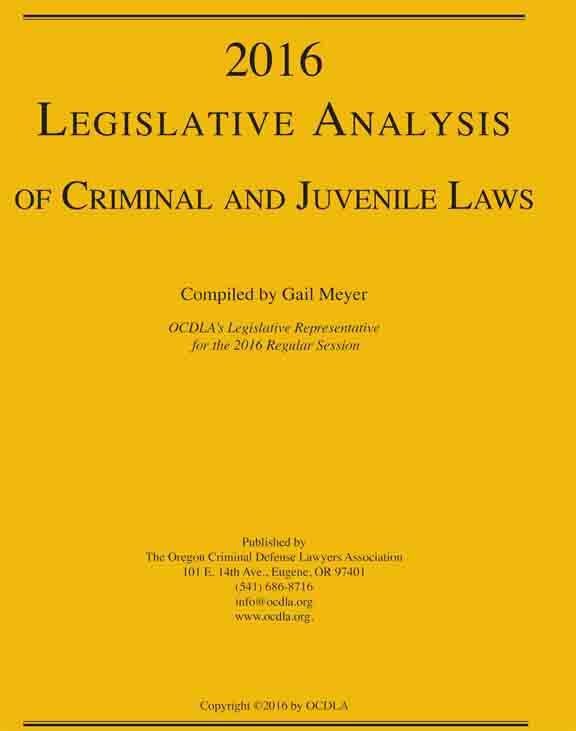 The 2016 Legislative Analysis of Criminal and Juvenile Laws contains summaries and complete enrolled versions of 17 bills - a record for a short session - covering new criminal and juvenile legislation. Hard copy binding: Print version — 160+ pages, comb bound. Download the free PDF through this link, which will take you to the Legal Document Library. There, the 2016 Legislative Analysis is included under the Legislative Analysis category.